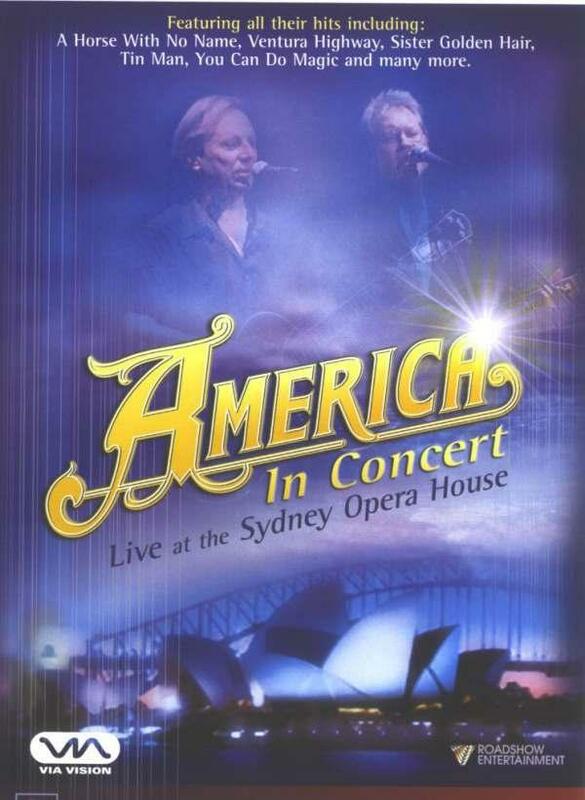 America - "Live At The Sydney Opera House"
„A Horse With No Name“ – sure, you know this one because it is still a classic of the band AMERICA, which can look back at numerous highlights in its career since it was founded in the beginning of the 70ies. Thirty years after they conquered the tops of international charts with the “nameless horse” and subsequently developed to veritable hitmaker with eleven US-top 40 singles and 17 gold-, platinum-, and multi-platinum-albums, there will soon be a DVD with a large amount of classics like “Ventura Highway” or “The Last Unicorn”. The founding members, singers and guitarists Dewey Bunnell and Gerry Beckley, publish a live recording of a concert, which was exceptionally not recorded at Royal Albert Hall in London or the Budokan in Tokyo but at the legendary Sydney Opera House.